How Do Lizards Mate and Reproduce? 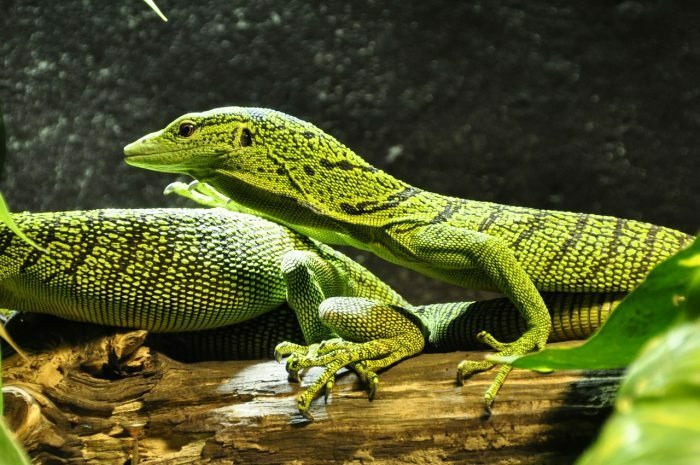 After various courtship rituals and displays that vary among species, lizards mate and subsequently lay eggs that eventually hatch into baby lizards. In most species, the female rapidly abandons the eggs and leaves them to hatch on their own without the protection or warmth of the mother. Courting rituals vary among lizard species. For example, in some species, males fight each other for the right to breed with a female with one male eventually giving up and allowing the other to breed. The red-headed agama scares off other males by turning a fiery red color with a bright blue tail while the green anole lizard has a dewlap, which is an inflatable throat sack, that it inflates to woe female lizards.